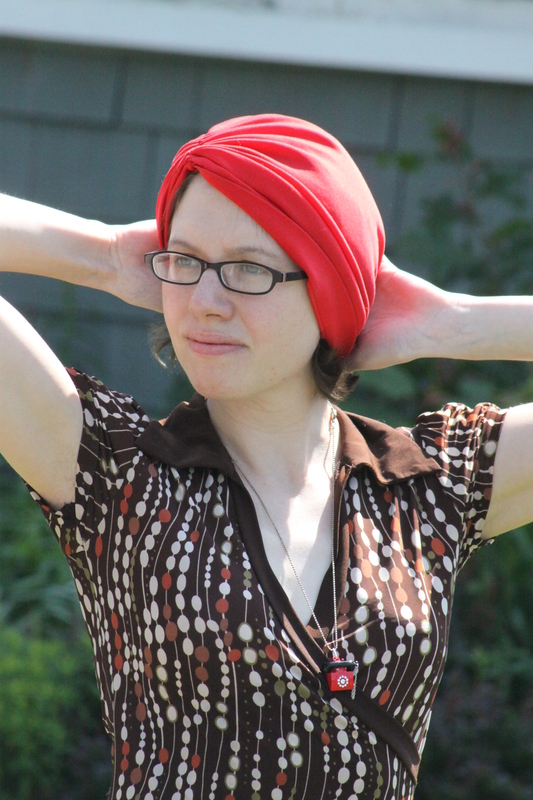 The turban is another wonderful, unexpected disguise for limp hair. I bought this little number n Austin, TX while visiting our friend Sterling. He was nice enough to take me to all the coolest thrift stores, and I found this piece on the last day of our trip. 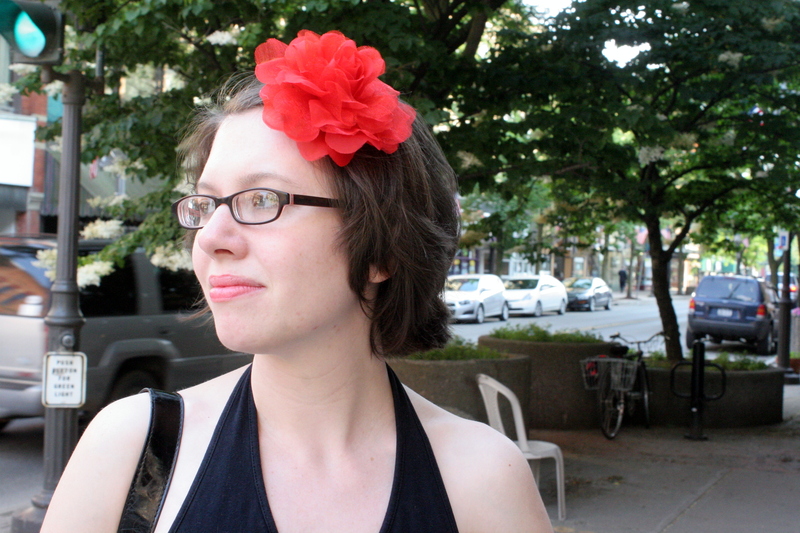 The little red flower was a great impulse purchase from Hot Topic a few months back, and really adds a certain flair to an outfit, especially when it’s TOO HOT to wear a big heavy hat. The sunhat was the hardest to work around because it’s just so dramatic. Very Lydia Dietz. But my assignment that morning called for sneakers, so despite my best intentions, I didn’t feel as put-together as I might have otherwise. 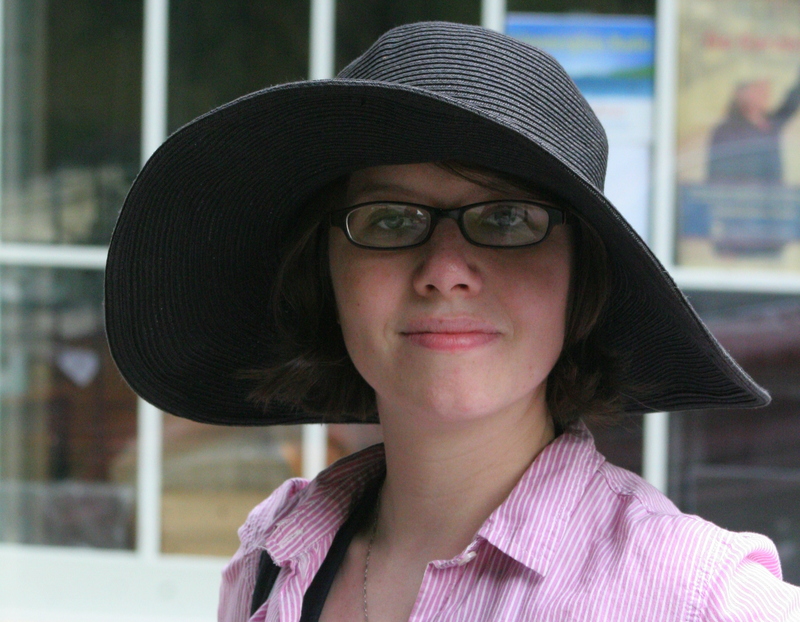 It did, however, keep the sun off my face, a plus, plus a man asked if he could take a picture to show his wife, also a hat fiend. The lesson learned is that, yes, hats are awesome and should be worn as often as possible with as many outfits as you can create. They elevate you to a level of style no other woman in the room can possible compete with. Ian loved each and every one I brought out, lots of men compliment them and they really do serve as a unique conversation starter. Have hats for all of them! I’ll revisit this stunt again, when it gets colder…get out my wool cloches and derbies!